Refrigerate cabbage in a hydrator drawer. Do not remove the outer leaves before storage. Once the cabbage has been cut store in a plastic bag. Cabbage is a good source of Thiamin, Calcium, Iron, Magnesium, Phosphorus and Potassium, and a very good source of Dietary Fiber, Vitamin C, Vitamin K, Vitamin B6, Folate and Manganese. 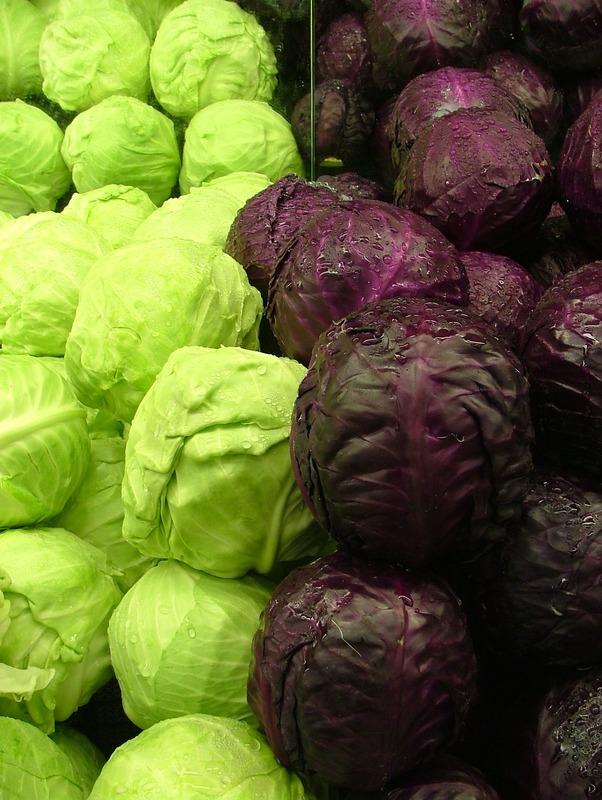 Cabbage is available in many varieties: red or purple, green and Napa cabbage. Drinking juiced cabbage is known to assist in curing stomach and intestinal ulcers. Cabbage contains quantities of fiber and iron, which help to keep the digestive tract and colon in a healthy condition. Sliced cabbage sautés & stir-fries well. Adding sliced onions or apples helps reduce the gaseous qualities of cabbage.